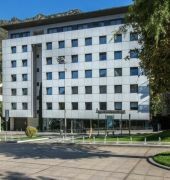 Hotel Mola Park is a four-star property located in the center of Escaldes, just next to Caldea Thermal Spa Centre and close to some tourist attractions in the area like Church of Saint Stephen, Museu del Perfum and Placa del Poble. The hotel comprise of 88 soundproofed and elegant guestroom equipped with air-conditioning and heating, television with satellite channels, mini bar, safe deposit box, working desk, hairdryer and private bathroom with bath tub. Furthermore, some rooms are provided with sofa bed. 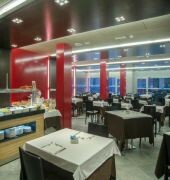 The onsite restaurant serves buffet during breakfast and dinner and offers a variety of international and dietetic cuisine from the a la carte menu. Room service is available during limited hours only. 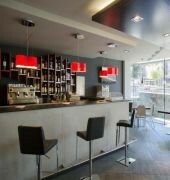 Other services and facilities include the 24-hour front desk, luggage storage, complimentary newspaper, laundry service, meeting rooms and indoor car parking.